Matt is Back in Menlo! Join us for a full week of pure Dance. Sweat. Smile. from Friday, April 5th – Sunday , April 14th! Sign-ups are at the bottom of the page. *Family Dance Party is back! Join us on Sunday, April 7th @ 10:15 a.m! As always, when any SWEATheart signs up for this class, their entire family is invited to join us that morning for FREE! (One sign-up per family). Brunch drink and snacks following class. Monday, April 8th is a Private and FREE Dance Party for active SWEATheart Subscribers. Did you know that there are now 75 Dance Party Songs available online? Click HERE to see the list! Not a SWEATheart Subscriber? 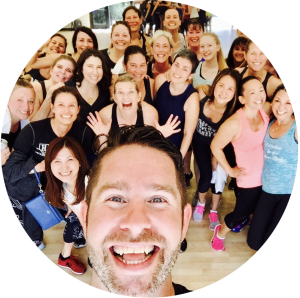 You can sign up anytime to get access to over 225 dance tutorial videos, join our Private Dance Party on Monday, April 8th, and save money on Dance Party classes when Matt is in town! I will teach a slightly simplified version of the “Single Ladies” dance because one, we only have an hour and 2, it’s Beyoncé. Join us on Thursday, April 11th at 11:15 a.m.! *Please note that the credit card charge will show as “Happy Adams b.v.” (our Dutch Company). How to Pay: You can pay online in advance via PayPal. Sign up for class packages or individual classes. Note that you can sign up for multiple drop-in classes by adding an individual class to your cart. Once you do this you will be taken to a PayPal page. Simply press the “continue shopping” link at the top right of your screen and you can then add an additional class to your cart. SWEATheart Subscribers Discount Sign Up HERE! © Copyright 2017 Dance.Sweat.Smile. | All Rights Reserved | Dance.Sweat.Smile. is owned and operated by Happy Adams B.V.